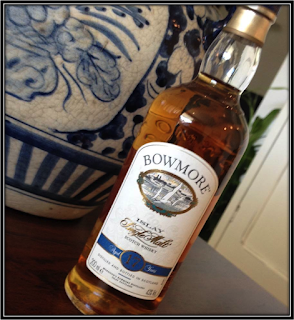 Nose: Gentle Smoke and Delicate Coastal Peat form the welcome committee. I can't hide a smile as there are no young, immature, aggressive notes to be found. It's been a while since I've nosed such a pleasant and well-balanced Single Malt. I find light Iodine, light Brine, light Ashes, Leather, Buttered Toast, Toasted Barley, Toffee, Nutella, Dried Fruit (Plums), Apple, Pineapple, Mango, light Citrus, Rum, Floral Perfume and hints of Spices and Smoked Meat and Fish. The Alcohol and Oak are completely integrated. Quite a treat! 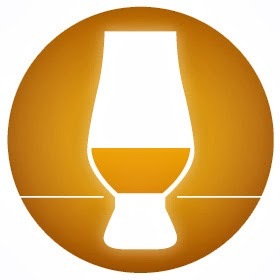 Palate: It's almost a crime that this Single Malt wasn't bottled at 46%. It would have made this a great Bowmore. It's still good though but just a touch on the Thin side. 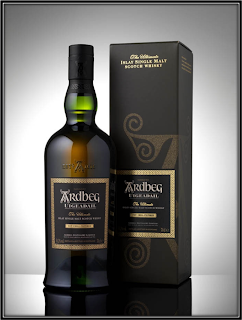 I find Toasted Barley, Toffee, light Iodine, light Tar, light Smoke, Wet Clay, Ashes, Salted Butter, Chocolate, Hazelnuts, Dried Fruit (Apricot, Plum), light Pepper, light Menthol, Cinnamon, Lemon, Oak, Floral Perfume and hints of Smoked Meat and Fish. Finish: Quite Long and Warming with Cold Smoke, Ashes, Wet Clay, Toasted Barley, Toffee, Chocolate, light Citrus, Dried Fruit (Apricot), Vanilla Flavoured Pipe Tobacco, Oak, light Pepper, Nutmeg, Licorice, Menthol and fine hints of Espresso and Smoked Meat. A few Mineral notes as well. A bit Dry in the end. After a while I get some Raspberry Flavoured Candies. I must say I didn't expect that! With a couple of drops of water, you will get a bit more Plums, Tropical Fruit, Barley and Citrus on the Nose. On the Palate and in the Finish, Raspberry and Strawberry Flavoured Candies become even more noticeable. I prefer it neat but you can play with a little Water. 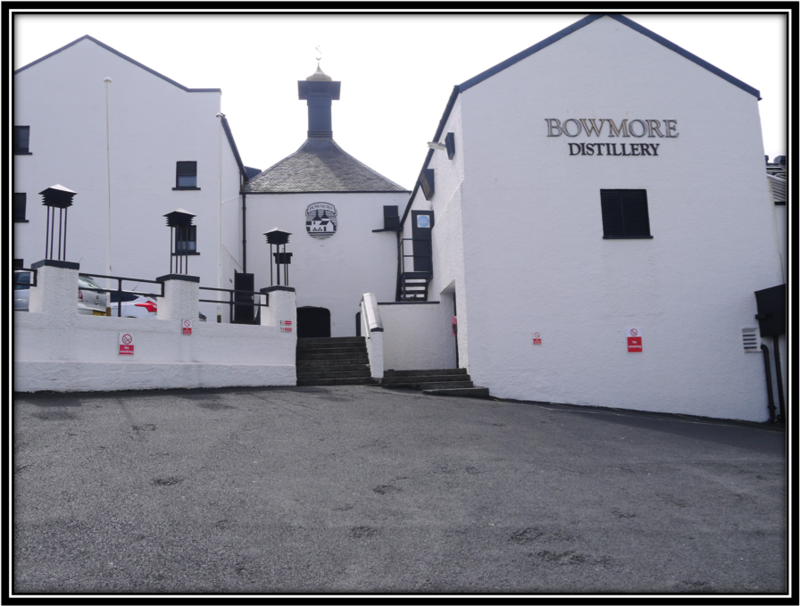 General Remarks: The Bowmore Distillery was founded in 1779 by John Simpson. 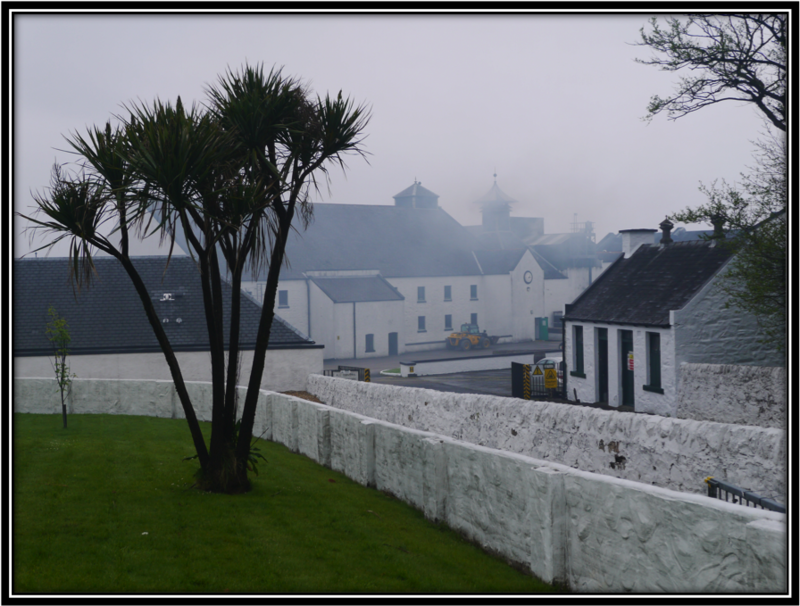 It's the oldest Islay distillery, located in Bowmore. Since 1994 it is completely owned by Morrison Bowmore Distilleries, part of the Japanese Suntory Group. 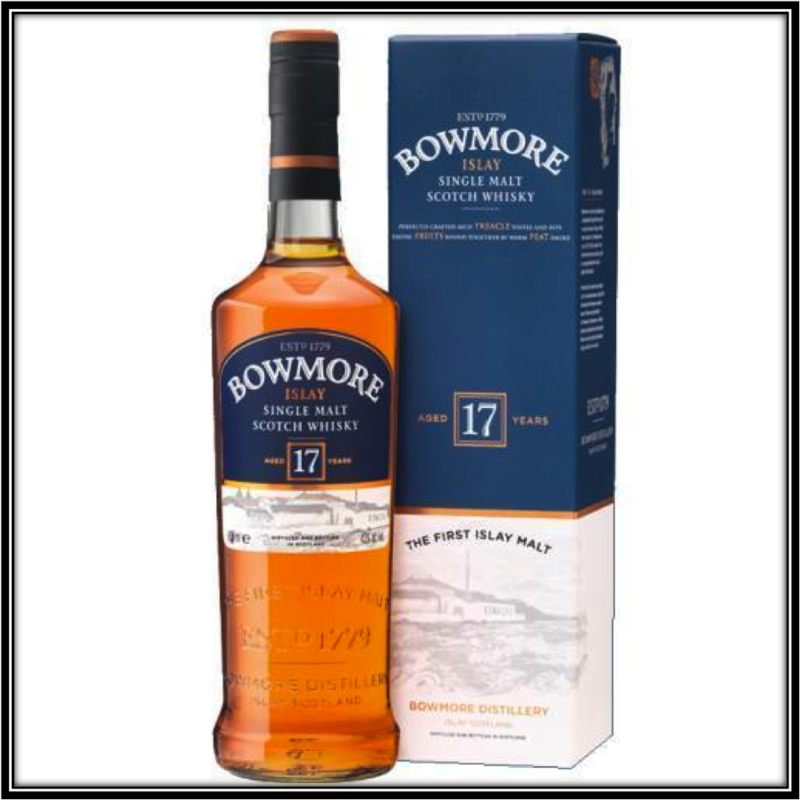 I'm reviewing the "old" Bowmore 17 Years today. It was replaced in 2007 by the 18 Years. There was also a 17 Years Distillers Choice around but it's discontinued as well. More recently, a "new" 17 Years Travel Retail expression was released under the name "White Sands". The "old" 17 Years matured in a mix of Ex-Bourbon and Ex-Sherry casks. It's still around in some places with prices between 100 and 300 US Dollars (January 2016). Drinking Experience Neat: Very nice. I really liked the Nose. Conclusion: With an ABV of 46% this would have been a stunner. 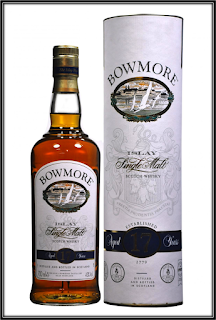 As it is, the Bowmore 17 years is still a very good, delicate and well-balanced Single Malt. No immature, aggressive notes are to be found. Alcohol and Oak are blended in naturally. This is the way a mature medium peated Islay Malt should be. What a pity this type of Whisky has become rare and/or unaffordable. If you find this Bowmore somewhere, just buy it. You won't regret it!